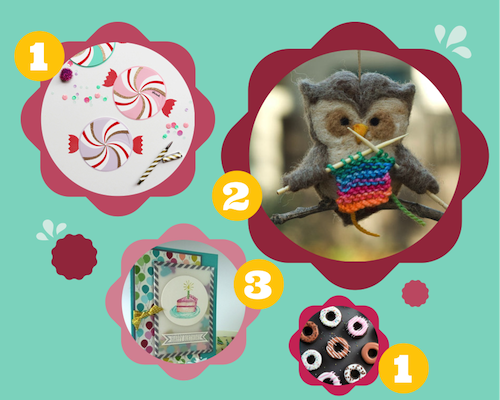 Loved the paper wheel candy greetings on OhHappyDay this week. There's even a free download template. I'm owl obsessed and would love to have this little guy hanging in my window. Thanks Bespoke Magazine for showing me this little cutie. Love the colours and use of washi tape in this card by Marelle Taylor. Very cute. For a bit of baking love I learnt how to decorate doughnuts... except I didn't do it. I just admired Bakerella's handiwork. Life is busy. Stay inspired and reading your favourite blogs. It's my little bit of fantasy everyday.